The Grand Baymen community began the year on a high note. 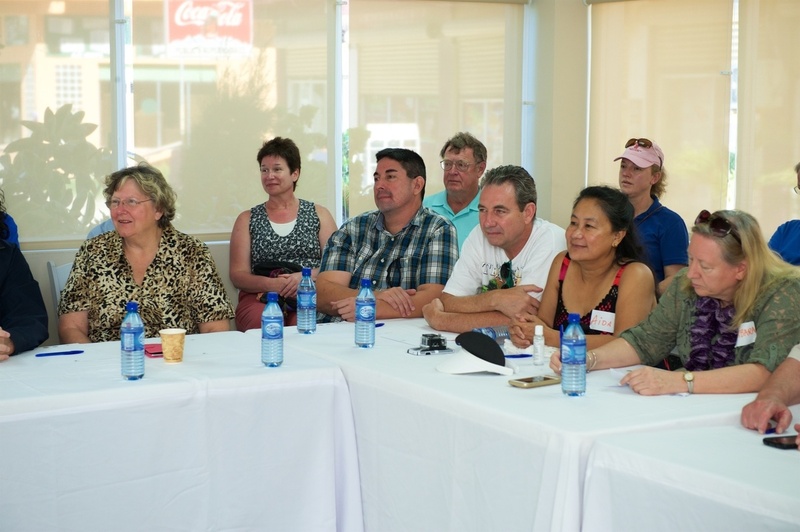 Over 50 guests were welcomed to the island of Ambergris Caye for a special extension of one of the conferences held by Live and Invest Overseas this January. Live and Invest Overseas is the name of an international company that raises awareness and showcases opportunities to do just what the name implies. 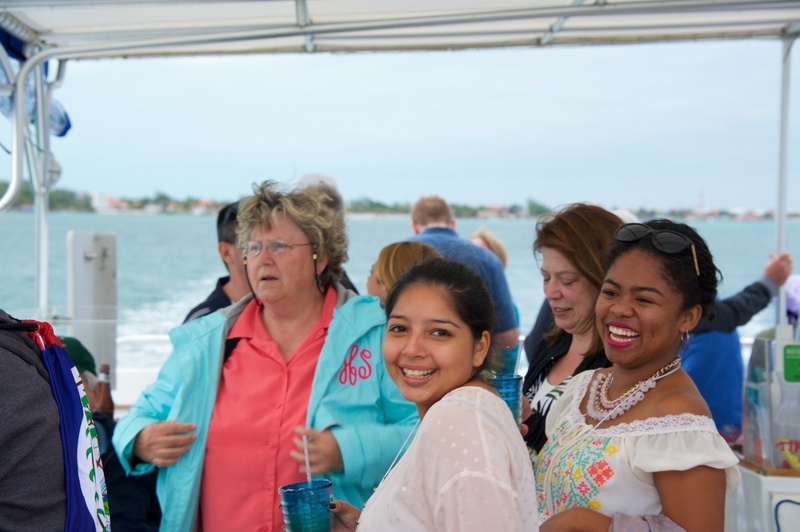 Following a midweek conference held in Belize City, Belize, guests of Grand Baymen were treated to a fun-filled weekend including some of the finest dining experiences available on the island, boating and snorkeling adventures, tours of the island, and well as tours of the Grand Baymen properties. An intense new interest in living in Belize is sparking up around the Baymen Gardens portion of the community at Grand Baymen. With 44 units completed of the 66 planned, and 5 more buildings proposed for the site beyond those, Baymen Gardens is an attractive people-centered community that is bringing the attention of investors and second home buyers to the island of Ambergris Caye. Diving in Belize is one of the biggest attractions to the country, with the Belize Barrier Reef stretching along nearly 200 miles of coastline. 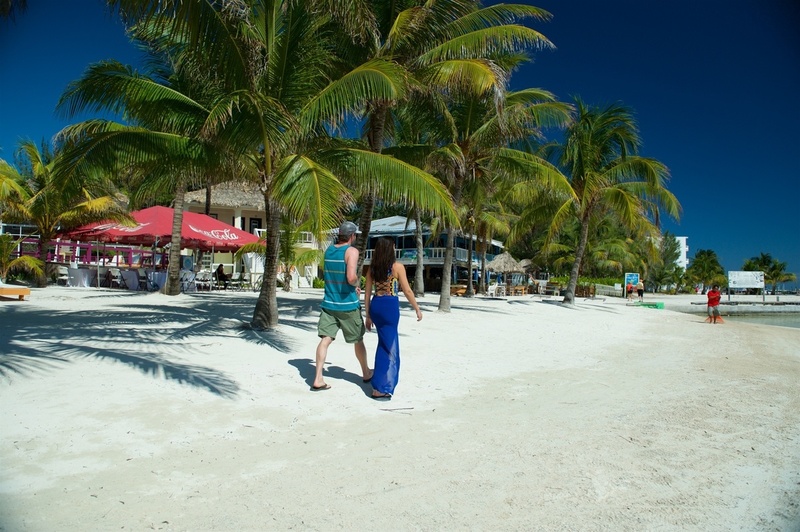 However, there is an abundance of reasons why people continue to choose Ambergris Caye, including the growing community of expats and retirees, the record tourism numbers, the friendly, diverse, tolerant, and English-speaking culture, and of course the sand and sun. Guests of the weekend-long event, hosted by ECI Development, enjoyed awesome weather for a site tour of Baymen Gardens condos, with the chance to view the inside of a fully furnished condo, and interact with management and staff as they carried out their usual daily tasks. VP of Construction, John Morgan, was on site to give detailed background on the construction of the condos, and point out all the fine touches that make them the quality homes that they are, incuding the use of mahogany in furniture, doors, and woodworking, solid concrete walls, double-pane, category 4 hurricane windows. Guests also toured the San Pedro Fitness Club, and with such a perfect day for plane watching, the group spent a short time on the roof of the fitness center taking photographs and just experiencing the exhilarating rush of props whizzing past the best spot to watch air traffic depart and arrive on Ambergris Caye. Breakfast on the beach of Exotic Caye Beach Resort, the soon-to-be Grand Baymen Oceanside, gave guests a unique chance to see the sunrise exactly as it will appear to Oceanside residents. With calm breezes blowing in off the Caribbean Sea and sand beneath their feet, delicious coffee and eggs with local favorites such as beans and tortillas provide a great start to each day of the event. Everyone was welcomed to participate in a silent auction for various prizes donated by ECI Development, local businesses, and guests themselves. All proceeds from the silent auction are donated to local charitable organizations. On this occasion those charities were: Living Word Church, located just around the corner from Baymen Gardens, S.H.I.N.E., a recently formed community group that provides a positive environment for adolescent girls, and the Samuel Haynes Institute of Excellence, which provides after-school programs and educational outreach to school-aged children in Belize City. ECI makes a point of giving back to local communities as an effort to extend the well-being of the communities housed in our developments. To learn more about our future events, or just how you can visit Ambergris Caye for yourself, click here to contact me.